Welcome back to the weekly Top 10 list. Each week we come up with a topic, go create our separate lists, and then come together to create a top 10 consensus. This week with the release of the heavily anticipated Bohemian Rhapsody about the band Queen coming out, we decided to do Top 10 Musical Biopics. There’s not as many options as I thought but there are some great ones so let’s take a look at it. 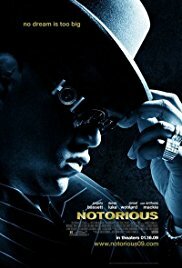 We begin the list with a film that is not particularly great but does satisfy in Notorious. This film is about the life of rapper Christopher Wallace also known as the Notorious B.I.G. This man’s music is transcendent and has a unique personality that people still respect. This is not a good film to me but if you’re a fan of B.I.G., you will enjoy it. 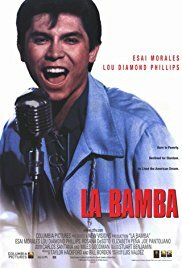 We move to another very different genre of music as told in the film La Bamba. If you took a Spanish course in high school, I guarantee you saw this film. We follow the life of Ritchie Valens and his short and tragic life. His song “”La Bamba” is iconic and it is a shame he died so young in a plane crash. Now we have a very recent film debuting on the list in Get On Up, the story of the legendary James Brown. James Brown is the king of soul music and a figure that inspired many. Funny enough, Chadwick Boseman plays James Brown and he has made a career of playing famous figure including Thurgood Marshall, Jackie Robinson, and Black Panther. 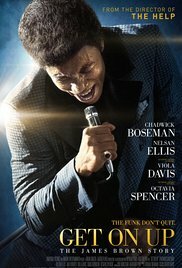 Needless to say, he was great as James Brown and contributed to this very good film. 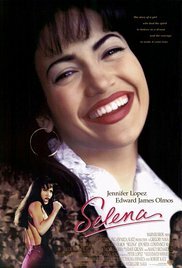 Now we get to another Hispanic story about a singer in Selena. I also guarantee you saw this film at some point in your high school Spanish class. Here we see the famous singer Selena who rose from cult status to performing in arenas. Her life also came to a tragic end like Ritchie Valens. Jennifer Lopez gives her best performance and has not been better since. Next up we get to a film that should be higher than it is in Amadeus. This is one of the best and most underrated musicals of all time and I do not think many people even know it exists. 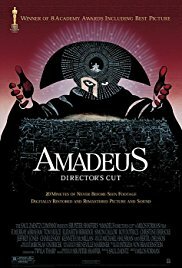 We see the life of Mozart told through his composer Antonio Salieri who claimed to have murdered him. This is dark and weird yet very fascinating to see unfold. 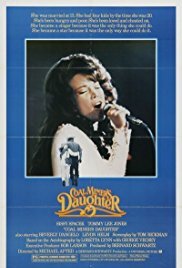 In the top five now we have another film many do not know about in Coal Miner’s Daughter. This is a movie about country singer Loretta Lynn who comes from poverty and transforms her life into a success. She changed how country music is sung and performed and influenced many future generations. Sissy Spacek won an Oscar for this role and show just what she is made of. 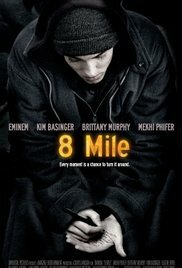 Next is a film I’m rather surprised to see so high up in 8 Mile. The film is a real life influenced but fictional story about Rabbit who has similarities to currently super star and controversial icon Eminem. I think his popularity in our staff put this film so high, but it is still a good film about the struggles an up and coming artist goes through trying to make something of himself in Detroit. “Lose Yourself” was created for this film and is now legendary. Number three comes in with another film about hip hop music in the incredible Straight Outta of Compton. 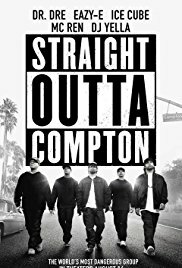 This film told the story of the group N.W.A. and their rise and fall. We got to see the beginnings of Dr. Dre and Ice Cube who are legends and how they came to be. It is a tragic and exciting story with great music and this film deserved more attention than it got. 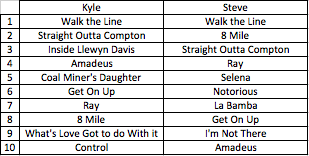 Just missing out on the top spot is the first film that came to mind when making this list in Ray. 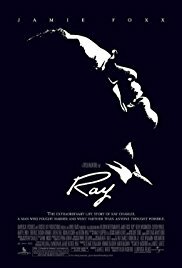 This is the story about soul artist Ray Charles and how even though he was blind, still made a career in music. Jamie Foxx won an Oscar for this role and really through himself into this legendary character. The music and direction are great and helps make this movie great. Coming in at number one is a film I don’t think anyone ever had any doubt about in Walk the Line. 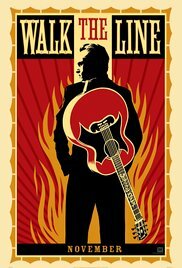 Walk the Line is the story about Johnny Cash and his career recording with iconic singers such as Elvis Presley and Jerry Lee Lewis. Joaquin Phoenix and Reese Witherspoon, playing the just as legendary June Cash, were amazing in these roles in a film directed by James Mangold. This was easily our top pick for musical biopics and deserves all the love it gets. Well there you have it! The Top 10 best musical biopics. This was a tough yet interesting list that hopefully grows throughout time. What does your list look like? Let us know below and we will see you next week with another Top 10.